After graduating from Lima Technical College in 1998, with an Associate degree in Computer Information-Multimedia Option, Jared began working at the Northwood Maplewood Learning Center. 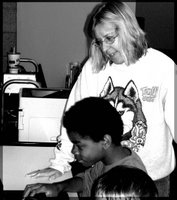 His job included computer training and after school activities for the residents of the Northwood Maplewood Apartments. This is where Jared formed the desire to establish a youth center in the North end of Lima for teens that have little guidance, lack of purpose, and are unsafe from their surrounding environment. 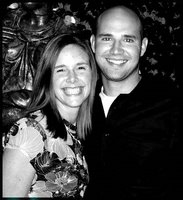 To prepare for ministry work, Jared completed two terms with Great Lakes Discipleship Training Center based out of New Haven, Indiana in 2000-2001. During this time Jared was given the opportunity to volunteer at a local youth center. By volunteering three times a week, Jared learned many programming aspects and the effectiveness of youth programming. To further his education in youth work, Jared, and wife Amy, interned with the Power House Youth Center in Macon, GA during the 2004 year. In this year they served as the Director of Development and Finance, and assisted in facilitating programs. Presently, Jared is working to establish funding for the youth center, build a strong volunteer base, and direct the after school programs. Ruth graduated from Bluffton College in 1983 with a B.A. in elementary education. Since that time she has been substitute teaching in the local schools, mainly Bluffton. Ruth also during this time has been very active in the Bluffton Music Boosters serving as the treasurer for several years and then currently as the overseer of the concession stand. Ruth joined Rally Point at the end of April 2008 as the part time Book Keeper and Administrative Assistant. She feels that Rally Point is the place God has called her to use her administrative gifts. She is also still fulfilling her gifts and passion for teaching and children by overseeing the daily after school program.